Scientists at a Rhode Island university have given computers the power to digitally disrobe people without their knowledge. 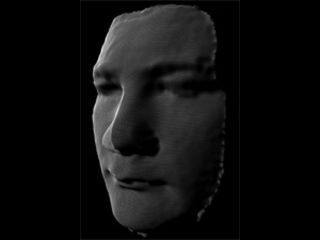 Brown University researchers have developed a program that can accurately map your body's shape from just a digital photo or video clip. The new 3D body-shape model can determine a person's gender and calculate an individual's waist size, chest size, height, weight and the mysteriously vague "other features". Michael Black, a professor of computer science, created the computerised body model from studying 2,400 detailed laser range scans of men and women "in minimal clothing". Not bad for a day job. A team of sweaty-palmed researchers found that by combining this swimsuit data from a person in multiple poses, the computer was able to infer the gender of the person and create a realistic three-dimensional body shape. "As I move, my clothes become loose or tight on different parts of my body," Black said, probably while running his hands up and down his body in a suggestive manner. "Each pose gives different constraints on the underlying body shape, so while a person's pose may change, their true shape remains the same." Black suggests possible uses for his technology - forensic examination of CCTV footage, creating personal avatars for Guitar Hero, buying custom garments online, motion capture for Hollywood and injury prevention for athletes - remarkably without even once mentioning the possibility of perving on your neighbours. You can see some rather disturbing computer imagery of the project at www.cs.brown.edu/ alb/scapeClothing/.